Woo-Hoo! Go Team Pink! 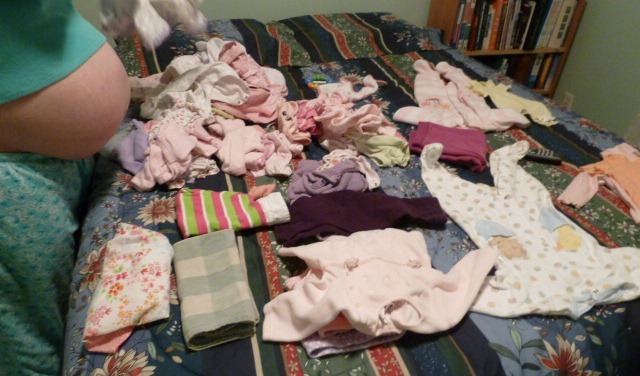 Dad is going to LOVE this post, as it does, of course, harken back to the story he once wrote of the, “Little Pile of Pink.” Of course we are stoked, just like you are, for boy or girl …. but …. we are rooting for pink over here too! Go, Pink, Go!!! I love that you showed Holly and baby in the picture too! Looks GREAT! Keep up the good work! Love the pictures and love the posts! Love the blog and most of all the blogger! Good stuff. Welcome to Meg. Love you.